4 guys from Mexico City, 60s garage rock’n’roll, on the road since 2003. Sabu on guitar looks like the son of Frank Zappa or the Mexican Jimi Hendrix, Kasko on drums and voice is the virtuoso of the quartet, Alonso with his hair and his bass looks very fresh and handsome on stage, and Carlos on the rhythm guitar. gives that extra touch of a sombrero / tequila / jalapeño flavour. 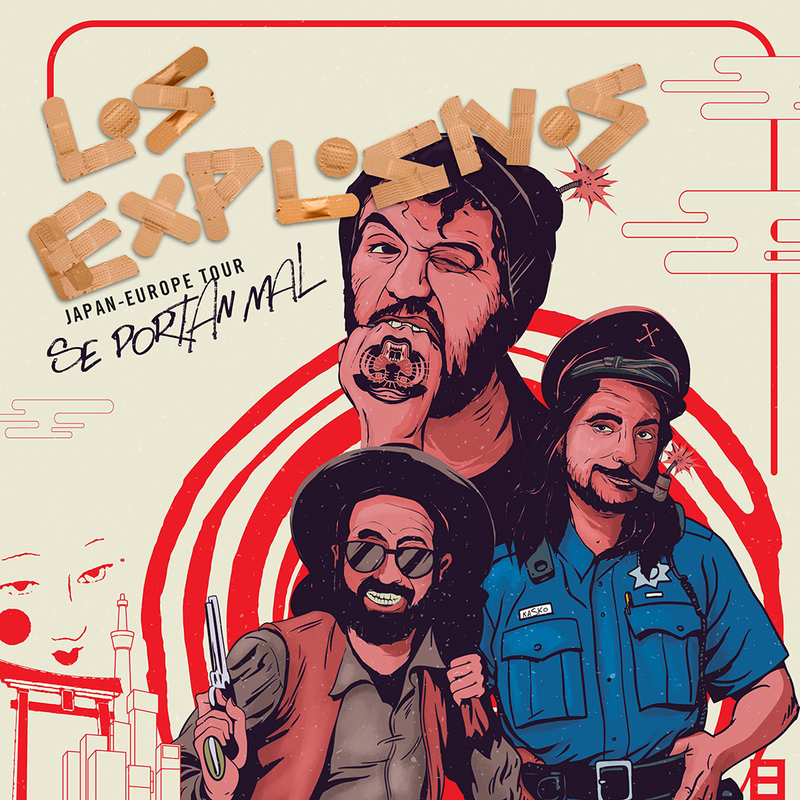 Los Explosivos: irreverence, rock’n’roll, sweat, pure energy! Considered the best garage group in Mexico and one of the best of their kind …. The right and needed warm up for Rattan Saturday night party!